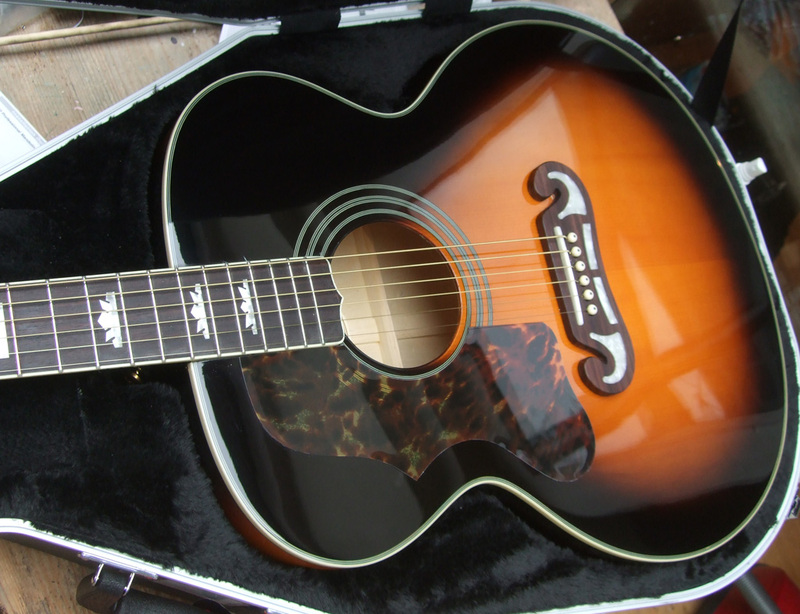 Another EJ-200 lefty conversion, this one in sunburst. These really are cracking acoustic guitars with bags of tone and volume. This example (sourced from Thomann) has much better neck angle than most so I was able to get a low action with plenty of height left on the saddle. 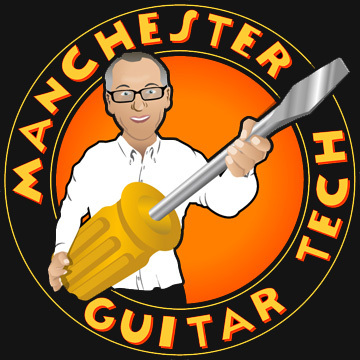 I’m thinking that I really should figure out a way to recreate the pickguard design – CNC milling maybe? Got the guitar this afternoon, it looks (and sounds) great – really pleased with it. Thanks a lot for doing the conversion – it’s a great birthday present. Hi Steve, I’m looking at having the exact same conversion done, can you tell what it will cost and the time frame involved? Hi Ben. Conversion costs £150 including parts and takes a day or two.